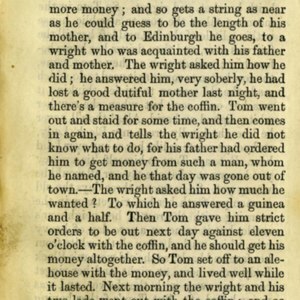 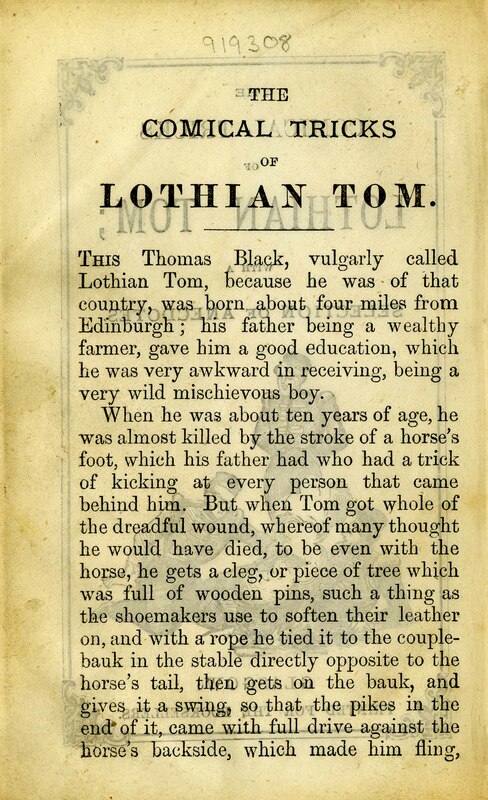 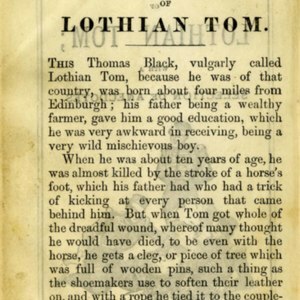 A humorous story of the many pranks, tricks, and cheatings of Lothian Tom, from boyhood to adulthood. 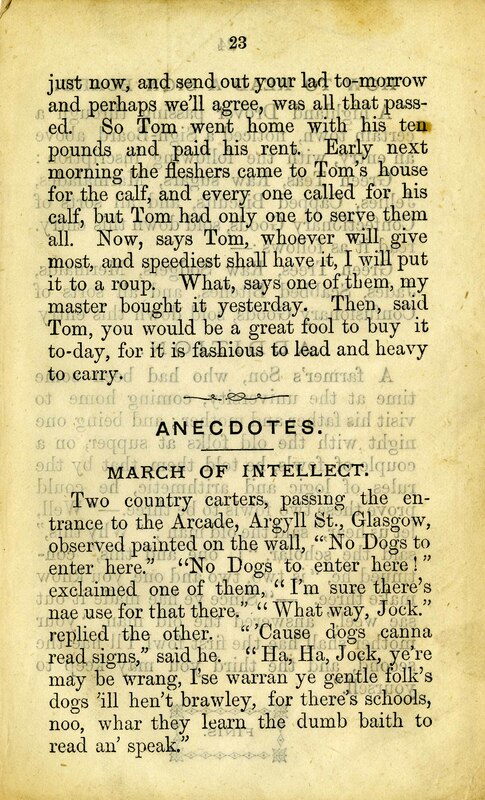 Featuring many other quirky side characters, Tom always looking for new ways to aggravate his fellows or to con them into giving him what he wants. 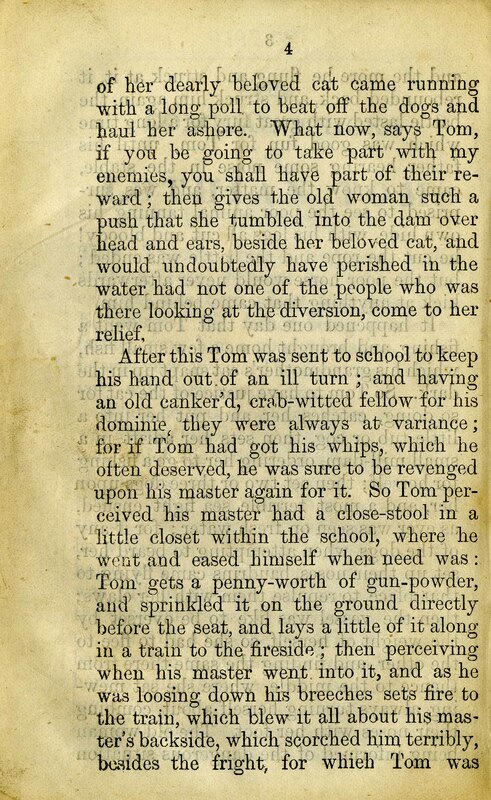 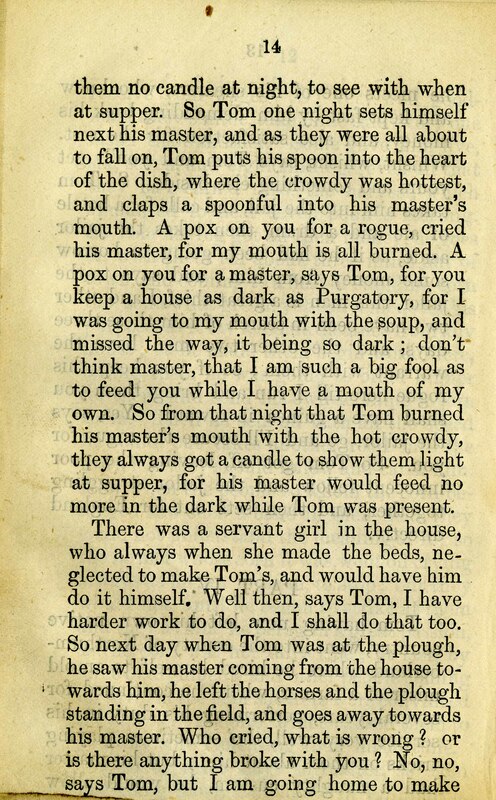 For the most part, Tom always seems to get away with his tricks with no major consequences. 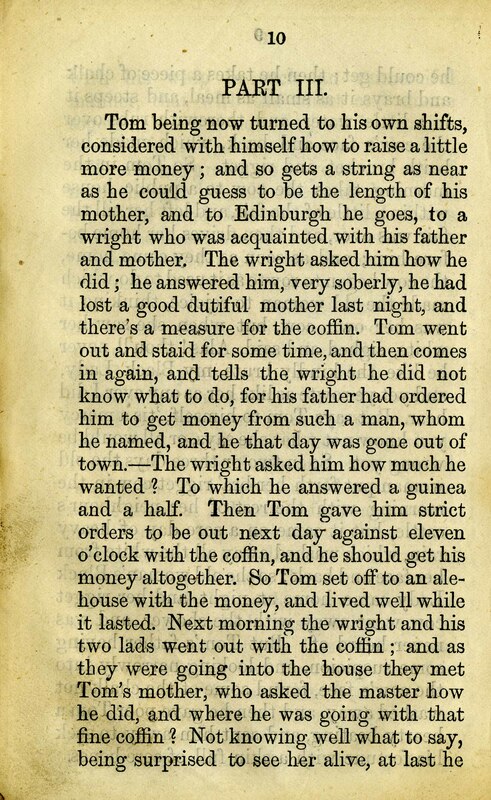 Also, a few humorous anecdotes are appended. 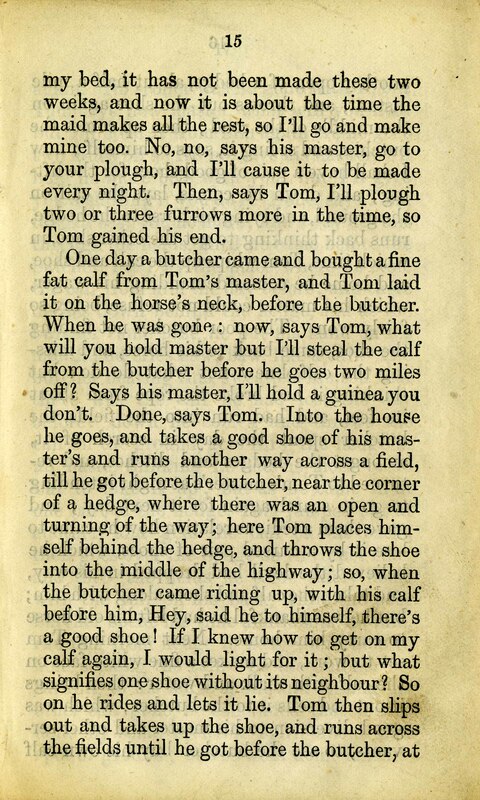 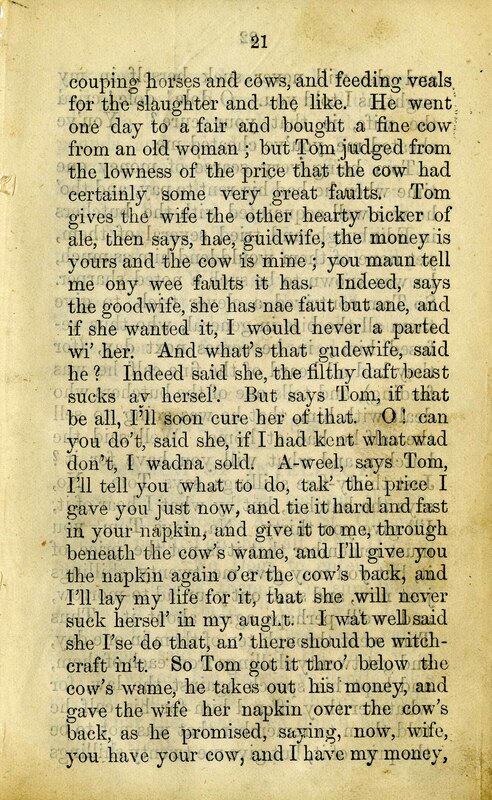 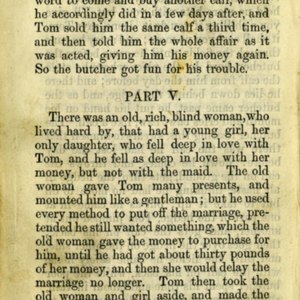 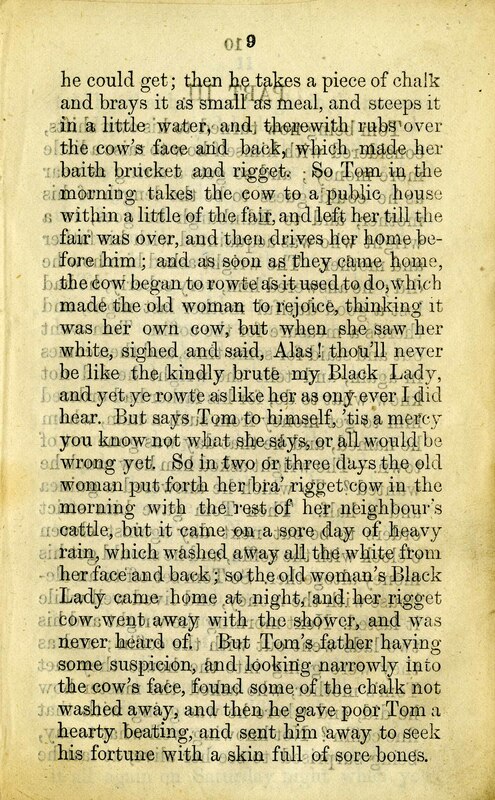 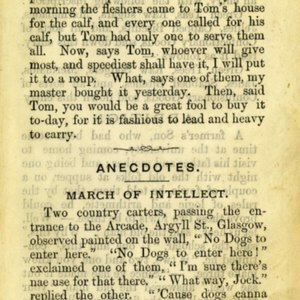 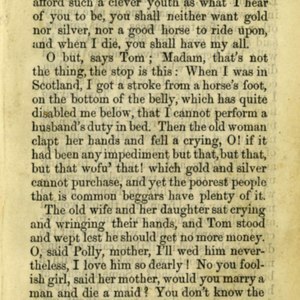 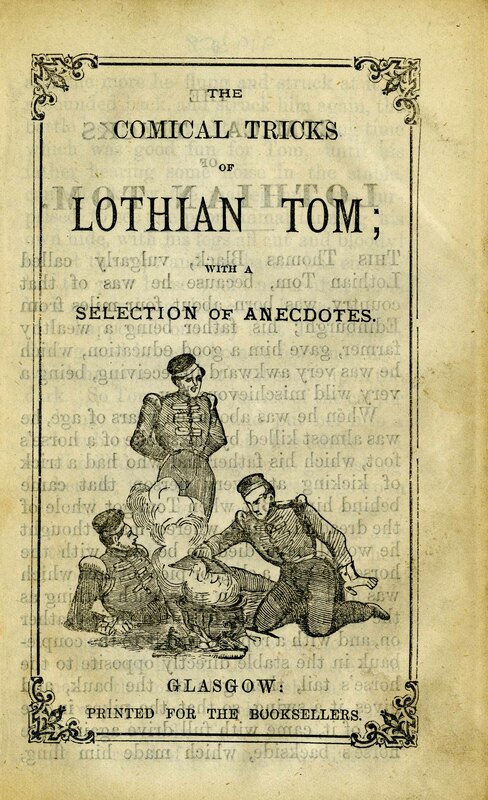 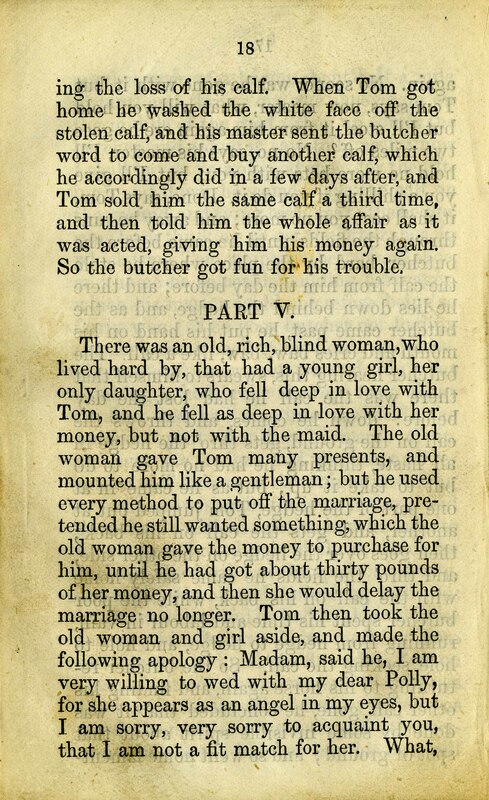 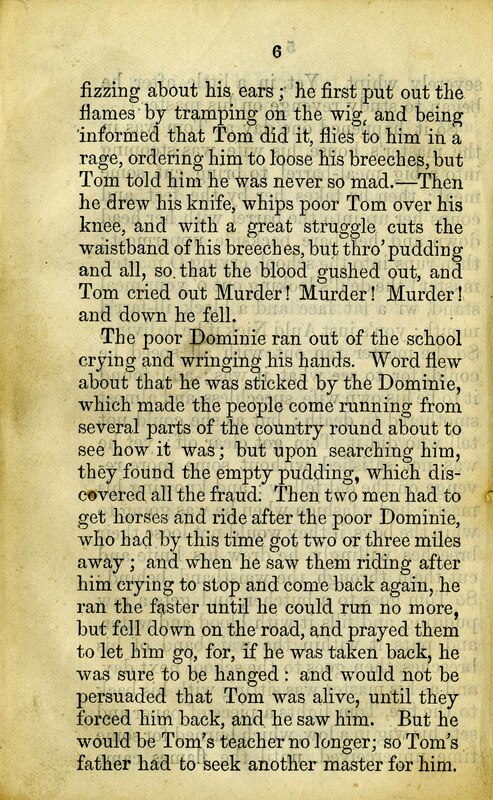 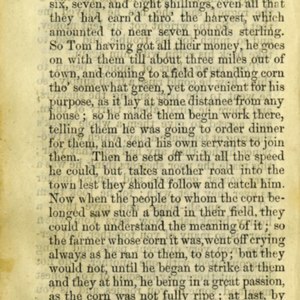 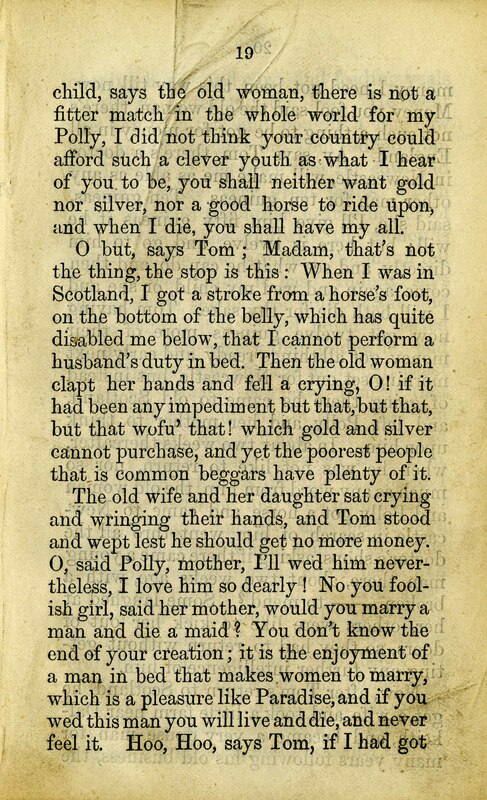 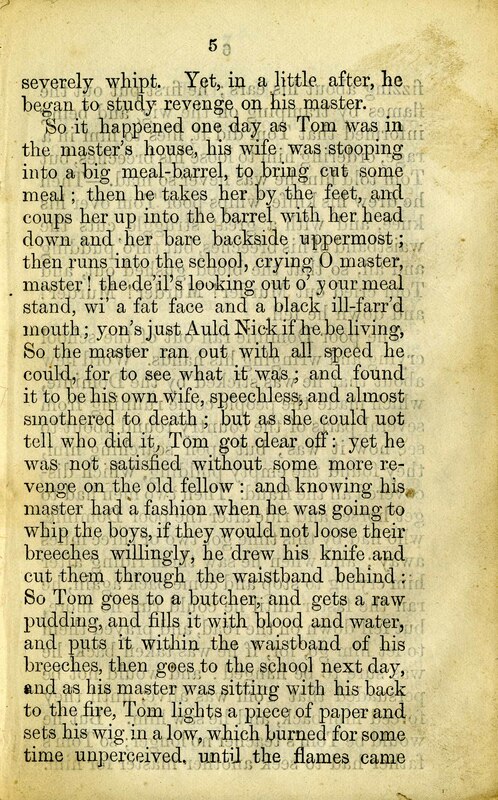 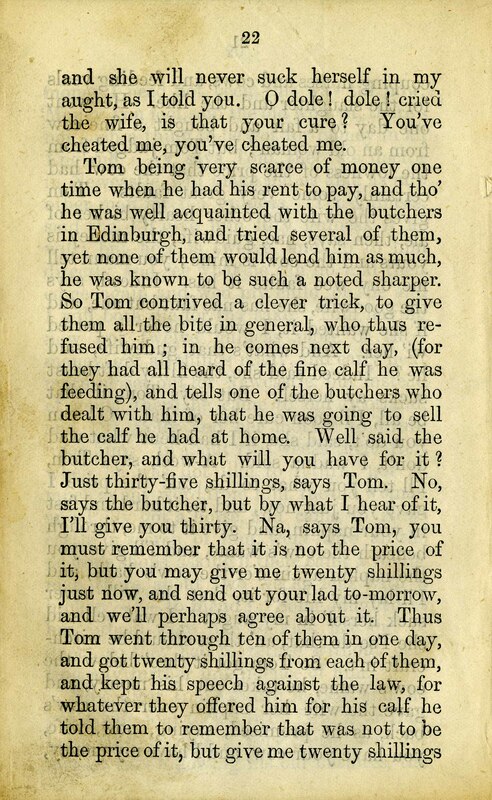 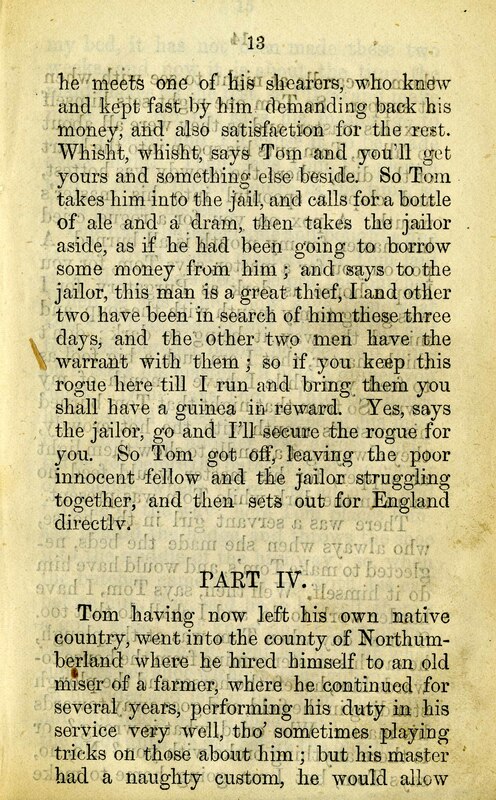 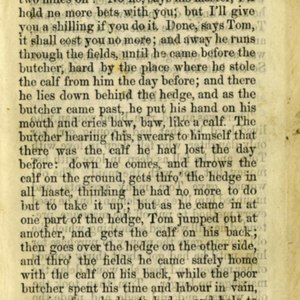 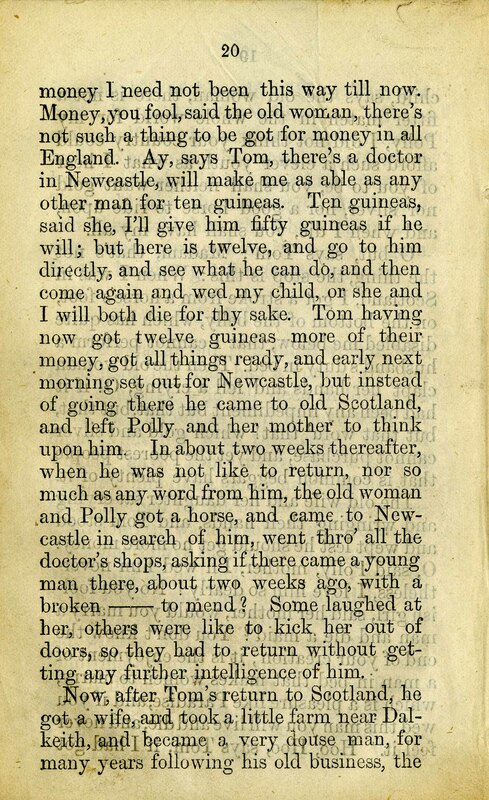 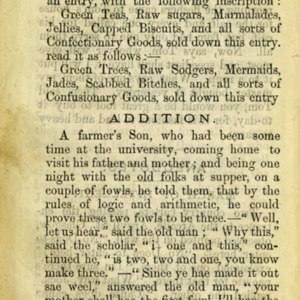 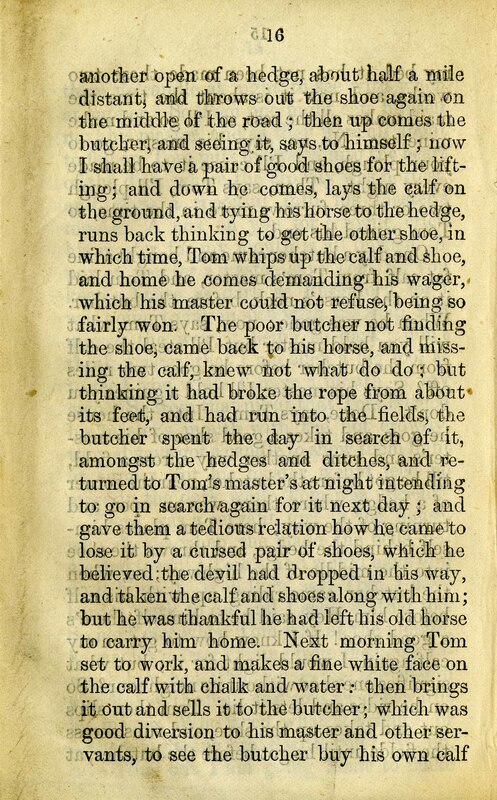 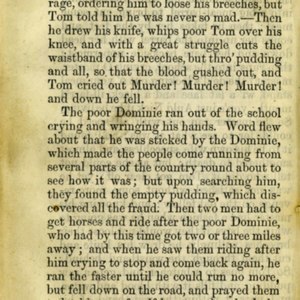 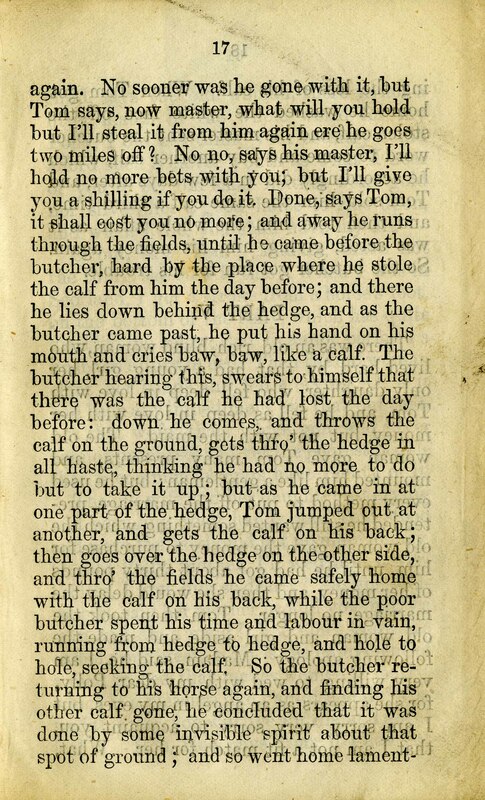 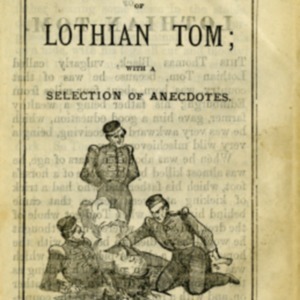 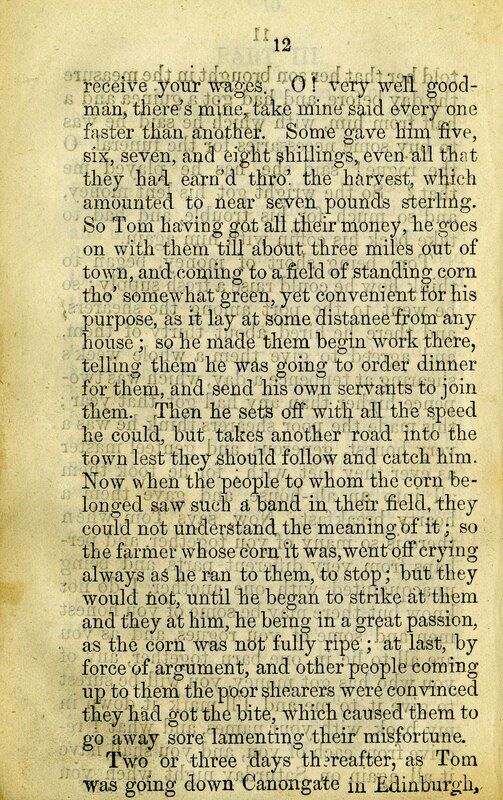 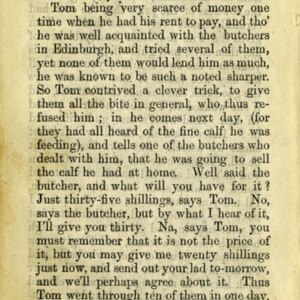 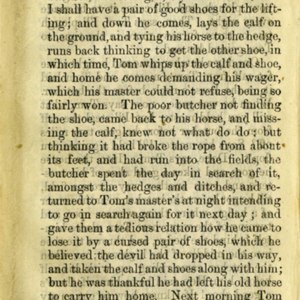 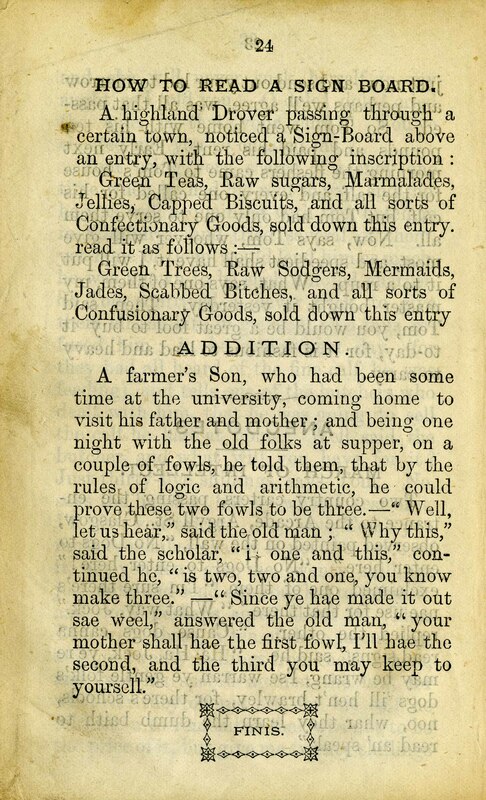 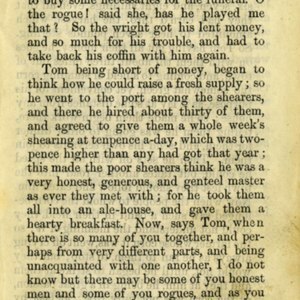 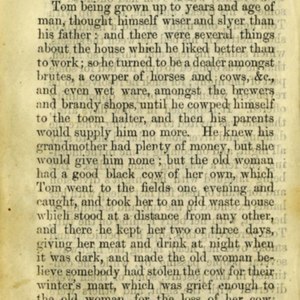 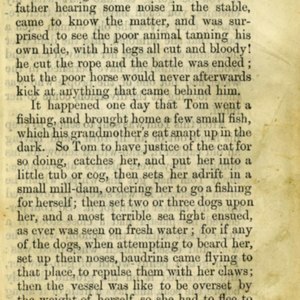 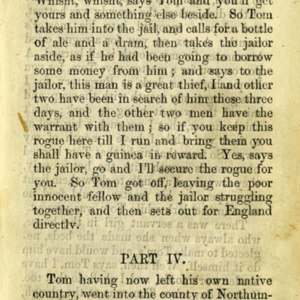 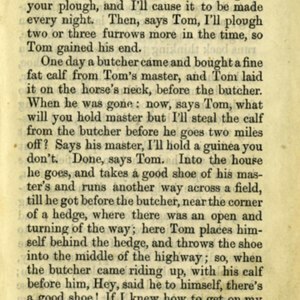 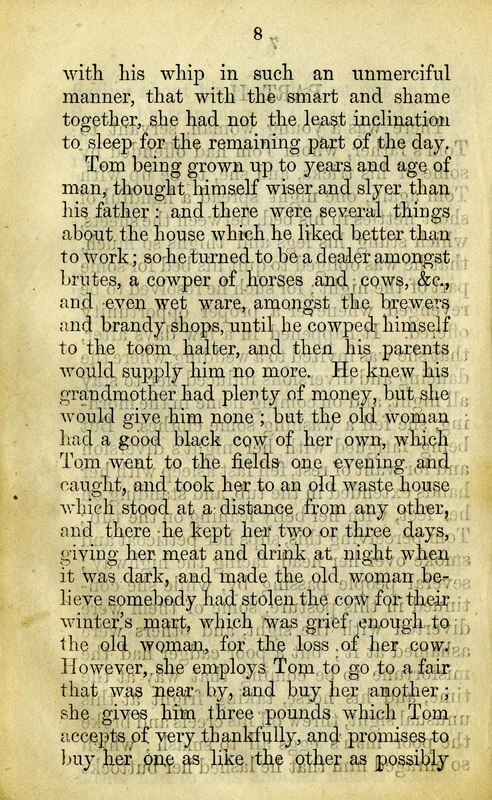 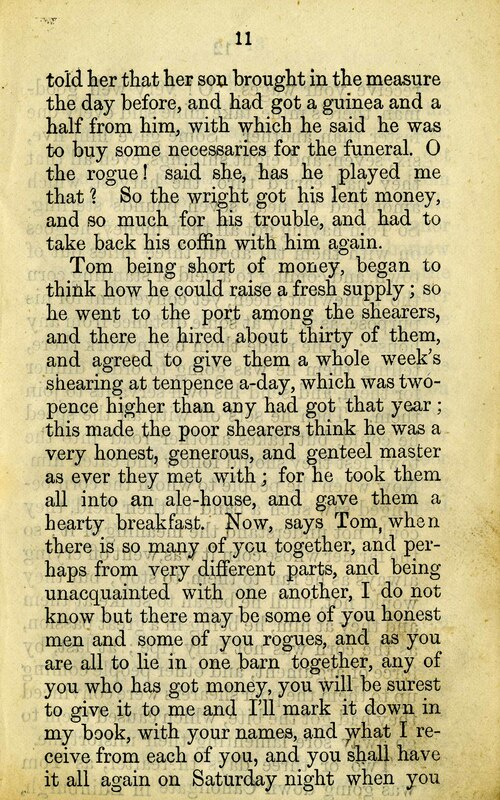 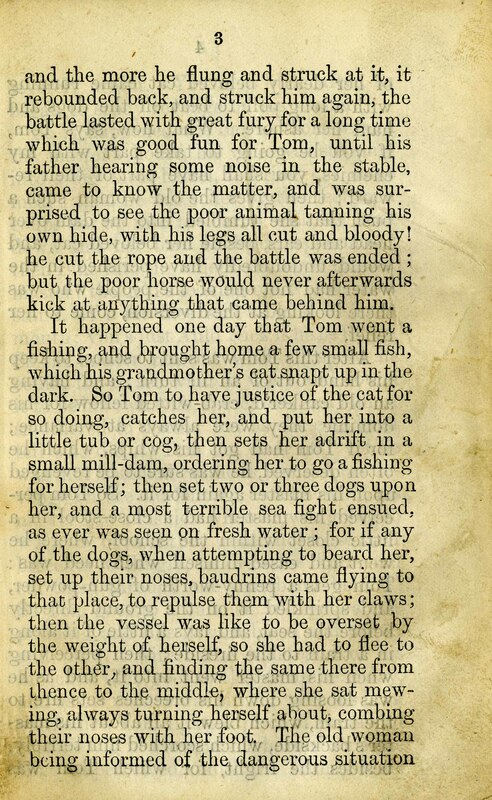 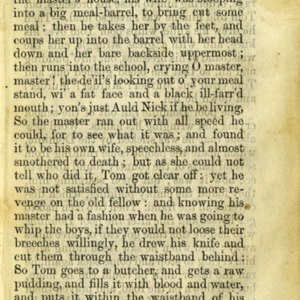 “The Comical Tricks of Lothian Tom with a Selection of Anecdotes,” Scottish Chapbooks, accessed April 25, 2019, https://scottishchapbooks.lib.uoguelph.ca/items/show/669.